Julie Foucht decided she needed to take her coaching business to the next level, so she hired a high-end coach and learned to ‘market like a man.’ She doubled, then tripled her income in less than a year, but felt drained, uninspired, and restless. Julie embraced her essential feminine spirit and created The Art of Feminine Marketing. Today Julie coaches’ teachers and healers who are frustrated with traditional marketing on how to build 6-figure businesses through the Art of Feminine Marketing. Her clients report having clearer vision of their divine purpose, greater passion for their work, the skills to be attracting the perfect clients, and are being paid well for their gifts. Julie received her coach certification in 2006 from The Coaches Training Institute. She has served on the boards of numerous non-profit organizations and was named Woman of the Year by the Professional Women’s Network of the Monterey Peninsula in 2013. • She has homes in the Monterey Bay area and in the foothills of Yosemite. • What is the difference between masculine and feminine marketing? • How can couples support each other in growing a business or a life? 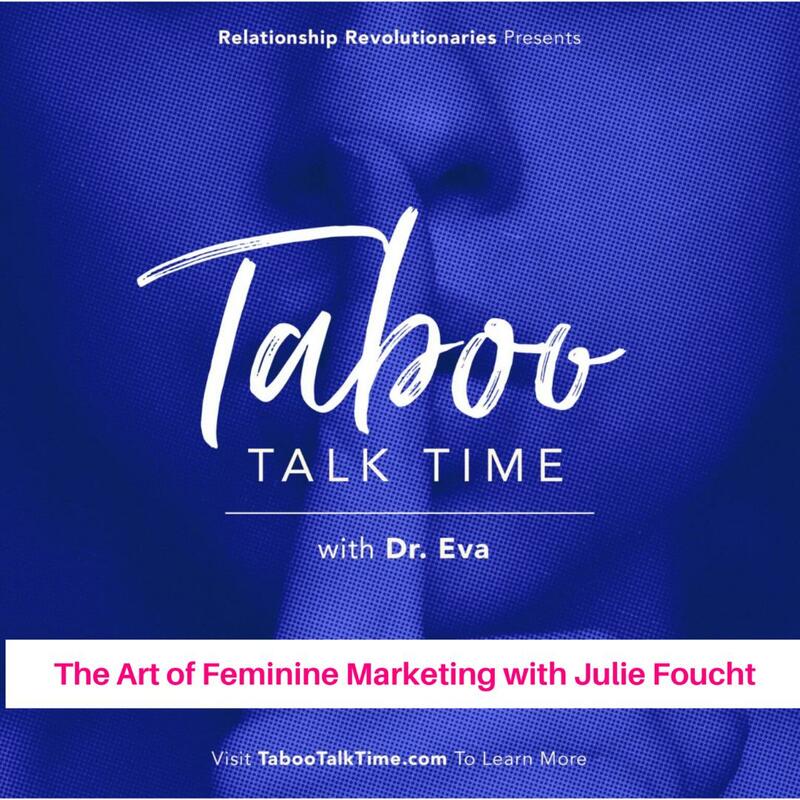 Taboo Talk Time Offer: http://juliefoucht.com/afm/. Thank you for joining the Taboo Talk Time Family! Check out the other amazing podcast episodes, therapeutic services, online courses, webinars, and couples retreats we have for you! It is our mission to break through societal norms and unhinge the taboo, while creating a movement toward social and mental awareness! Oh! And don’t forget to share your favorite podcast episodes with your friends and family and please review the podcast!